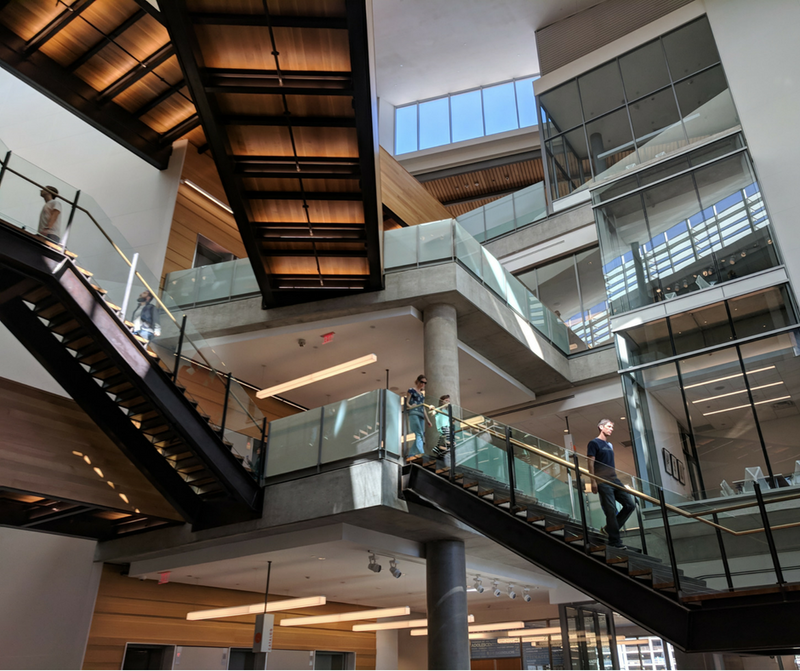 The Austin Public Library system has a new crown jewel: the Austin Central Public Library. The new Central Austin Public Library is located in on the edge of downtown in the Seaholm District. It’s across Cesar Chavez from Lady Bird Lake making for spectacular views. Read on to find out why this beauty is so special. What’s a better fit for a restaurant in a library than one that draws its inspiration from cookbooks? The cuisine at Cookbook Bar and Cafe has been pulled from cookbooks that belonged to a late cuisine writer for the Austin Chronicle. Guests can also browse these very books in the foyer of the restaurants! The focus is on food from the South and Mexico and uses locally sourced ingredients whenever possible. Located at the top of the library, this outdoor garden has incredible views of downtown and beyond. There are loads of native plants and chairs for lounging and reading while soaking up the sweet Austin air. 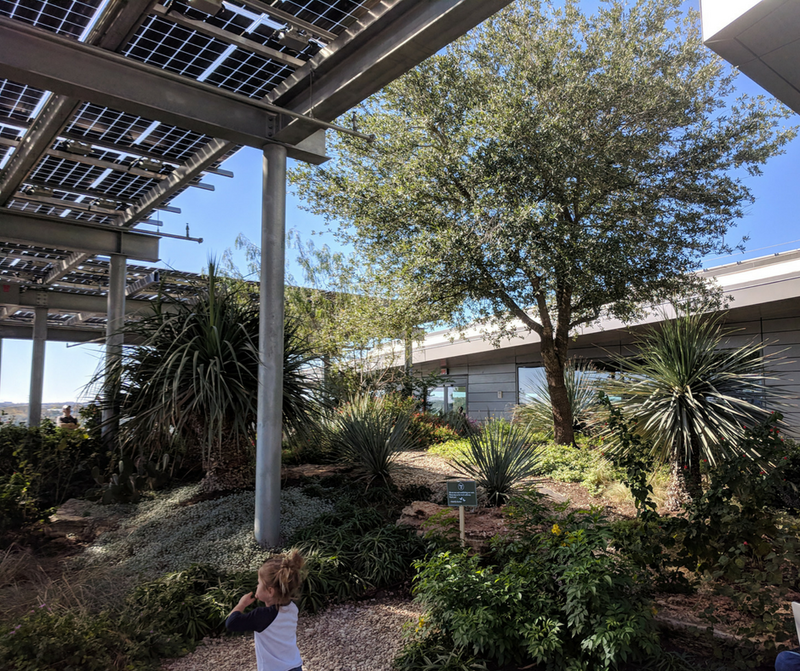 This is definitely the most unique feature of the Central Austin Public Library. The library has a large light-filled room where they host temporary art exhibits. This space will keep you coming back as it’s always evolving! The staircase at the middle of the Central Austin Public Library feels like an M.C. Escher painting. The architects were Lake Flato, a world-recognized firm. 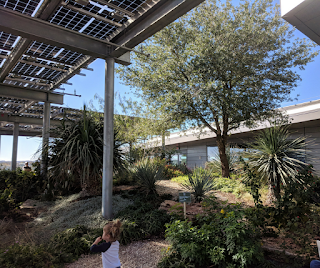 It has also been built with an eye towards sustainability with the largest solar installation in downtown Austin. 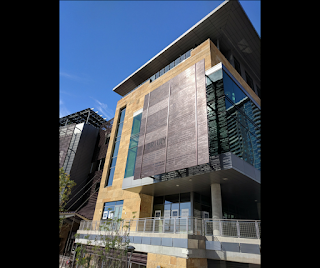 Looking to move to an Austin apartment close to the Central Austin Public Library? Apartment Specialists South Austin can help! Give us a call today at 512-912-8001 to find your dream apartment in less time than it takes to check out a book!